The holiday home/cottage is situated on a green environment on the edge of the attractive watersport village Kortgene. On the (former) isle Noord-Beveland, between the Lake of Veere, Eastern Scheldt and the North (at 8 km) Near the Storm Surge Barrier. 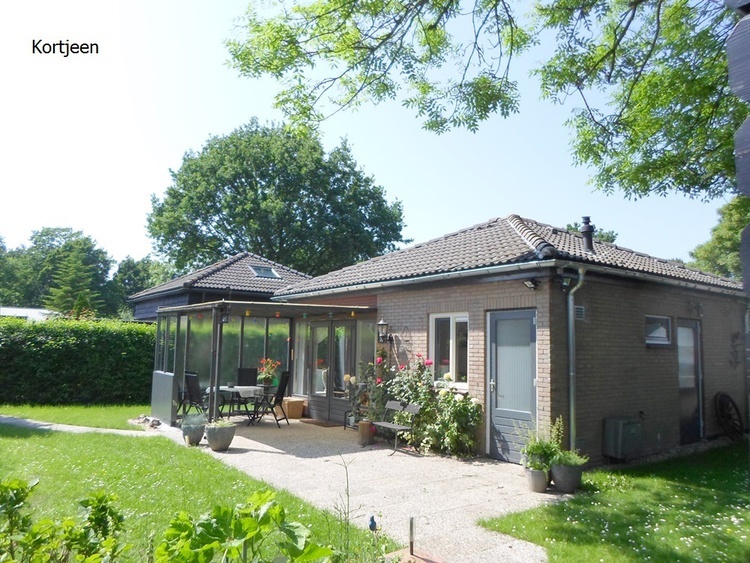 4484 SH, , Niederlande, Zeeland ,Kortgene. 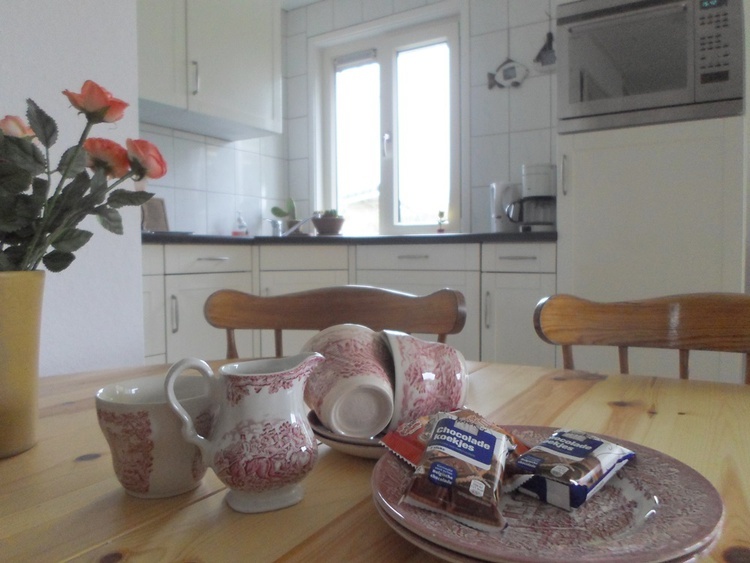 -The cosy bright living room comprises a dining and sitting area with a sofa and 2 armchairs. Also calbe television with some English channels. - Open kitchen includes a gas cooker with 4 rings, a micorwave combination ,a dishwasher, an extractor hood, a fridge, washingmachine, coffeemachine (filter type) and a waterboiler. Everything for a comfortable stay. - you find two separate bedrooms. 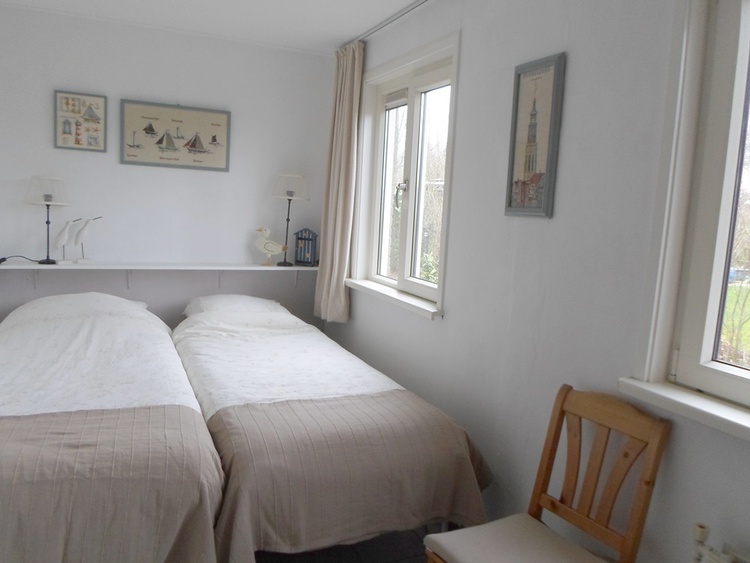 One bedroom with two single beds side by side (all beds 80 x 200 /with no foot end) .The other bedroom has bunkbeds (90x200). On the beds are duvets (140x200). From the french windows in the living room you enter the covered terrace with its garden furniture. You can sit the whole day in the sun if you wish. 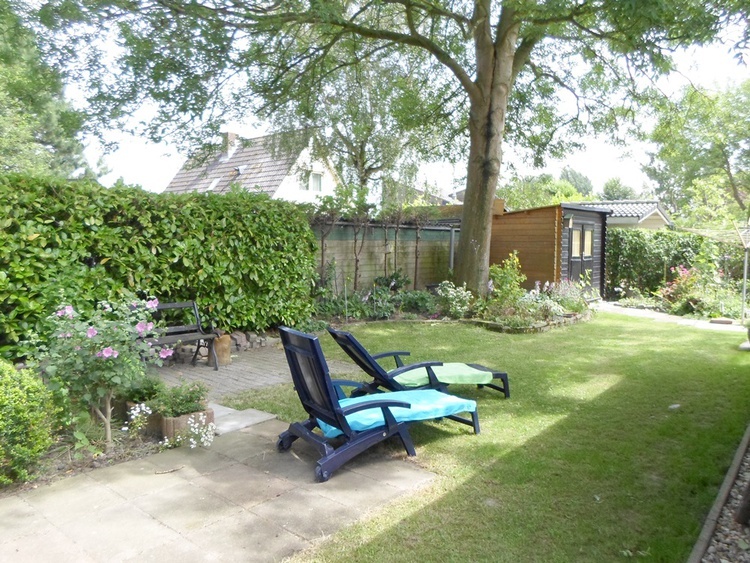 But you can also seek the shade in the large private garden, which lies all around the bungalow. In front of the house is a play area of 946 m2 ! The house has central heating, tile flooring and comes complete with inventory that Free ) corresponds to the number of 4 persons. Also a selection of books, some board games, touristique maps, walking guides and pamphlets with region information are present.
. babys/small children- equipement: can be set up for your convenience at a small extra charge. Dogs (and other pets) are welcome (after consultation). Smoking is not allowed. 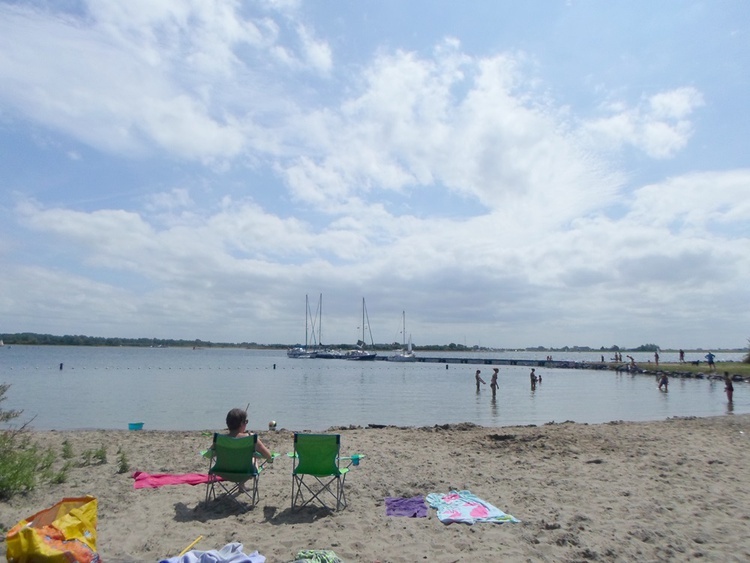 Noord-Beveland, the smallest island of the Province of Zeeland, This relatively unknown island is in many ways a surprising discovery, whatever your age, and whatever your interest… a real paradise for people wanting to avoid mass tourism. 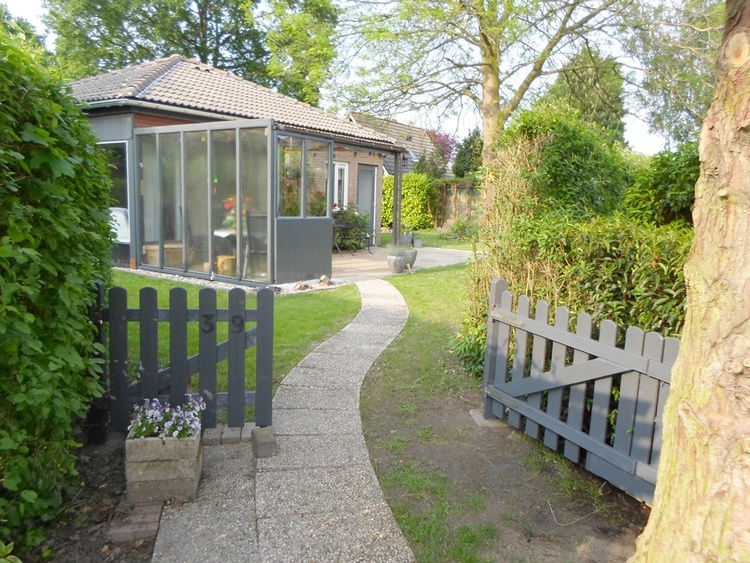 The unique location makes Noord-Beveland the ideal place for a short or longer recreational stay. 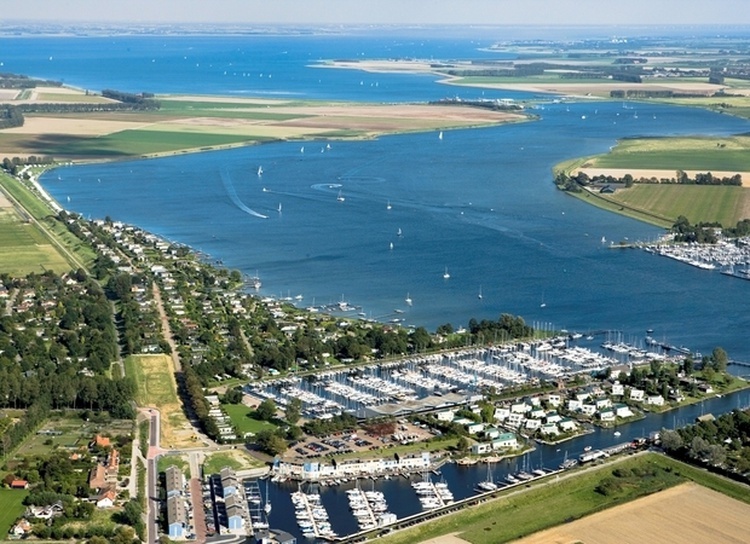 It is situated near the world-famous Delta works and surrounded by the North Sea, the Easter Scheldt and the Veerse Lake. The coast is never far away and has something to offer everyone of all ages. Sun-worshippers will enjoy the clean beaches. The active ones amongst us, will enjoy the water sports.. 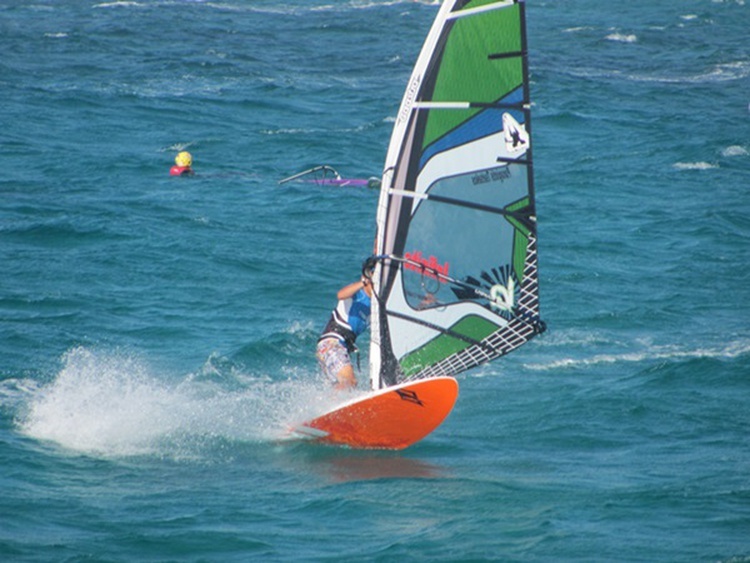 Whether you are a sport fisherman, surfer, a water skier, or a sailor there is always water that will suit you. Even divers from all over Europe come to the unique National Park Eastern Scheldt to admire the rich underwater world. If you love nature, there are many nature reserves in the immediate vicinity, where you will find special plants and birds. Enjoy the peace, tranquillity and space! And if you love gardening: amaze yourself in the varied rose garden of Kats with more than 1000 varieties of roses! 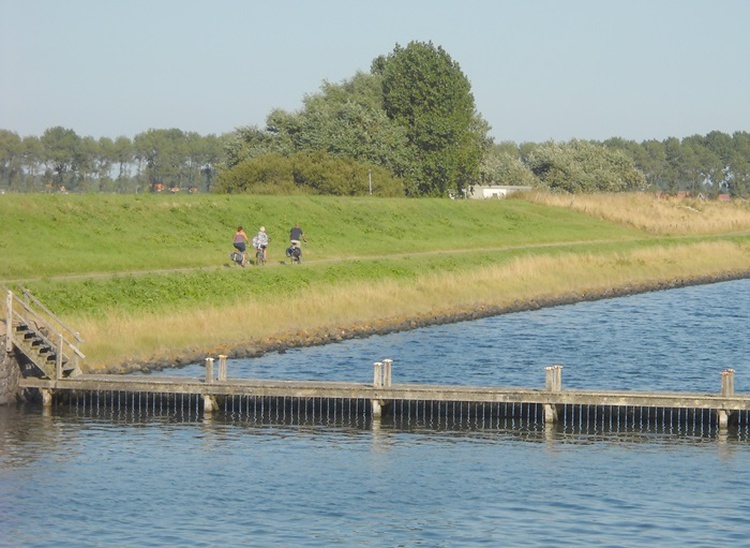 There are numerous opportunities for recreational activities on land, such as walking, cycling and horse riding through the polders or along the dunes and the shoreline. Zeeland is a real biker's delight! It has an extensive network of cycle-paths. Feel the wind in your hair, the sun on your face, and enjoy the quiet of the countryside. Cities like Middelburg, Veere and Zierikzee are nearby and are places with a rich history, with beautiful historical buildings, old city walls, small picturesque harbours, interesting museums and….nice shopping areas and lovely terraces. But there are far more interesting spots to discover! Come and look for yourself! We would be happy to have you as our guest and we look forward to meeting you. Schon viele Jahren begrüßen wir liebe Gäste. Es sind die Begegnungen mit Menschen die das Leben schön machen! Und wir lieben es anderen unsere schöne Gegend zu zeigen. Die tolle Gespräche, besondere Kontakte und die Herzlichkeit rührt uns.